View basket “Storace, Stephen: Gli Equivoci. Libretto” has been added to your basket. For two soprano, mezzo soprano, two tenor, four baritone and two bass soloists, plus minor roles for two tenors and two baritones, and non-singing roles for a small boy, soldiers and guards, with two flutes (one doubling piccolo), two oboes, two clarinets in B flat and C (doubling basset-horns in F), two bassoons, two horns, two trumpets in B flat, C and D, two on-stage trumpets in D, timpani, percussion, continuo and strings. 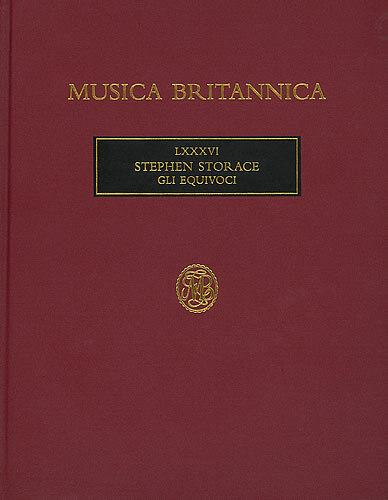 The vocal score is also available for sale as Volume 86 of “Musica Britannica” (MB86). 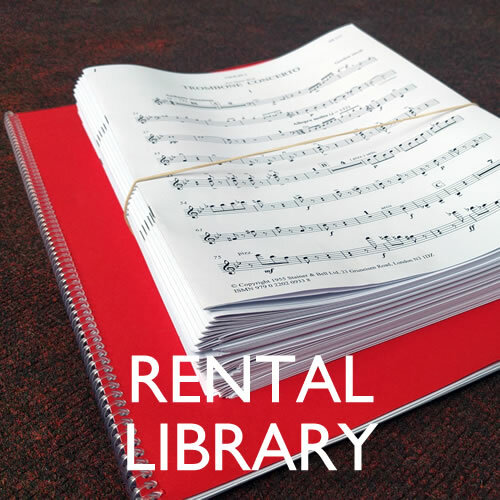 The libretto is also available separately for sale (Y342). This is the first published version of a sparkling comic opera written in 1786 for Vienna’s Burgtheater, to a Da Ponte libretto adapted from Shakespeare’s The Comedy of Errors. 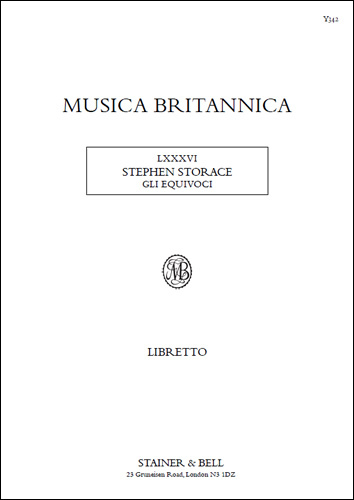 A pupil of Mozart, Stephen Storace was a major figure in English opera of the late 18th century, and Gli equivoci is a unique testament to his versatility and promise. The work is issued with an English singing translation as well as the original Italian underlay, and the hire material includes a libretto with the Italian and English set on facing pages.